Wander down any nutrition isle in a supermarket and you are bound to want to run in the opposite direction. So many products, choices, shakes, pills and things you cant even pronounce. 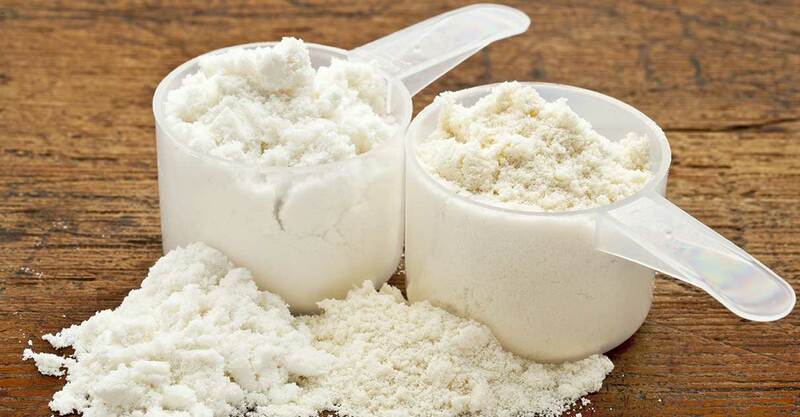 In this article we compare two of the protein powder products available. Which one is better? And finally when it comes to the Paleo lifestyle whether we should be including either of them in our diet. As usual the answers are far from black or white. Whey protein powder is a product which is refined from milk proteins. When cheese is being made there is a liquid by-product which contains these whey proteins. Because whey is derived from dairy, it is technically not strictly paleo however it can, under certain circumstances still be a good protein option for those that are able to tolerate the small amount of lactose present in the whey. So I should be buying grass fed whey? Right? Well it it is obviously better for the cows as they are treated better, however it is currently up for debate whether the many benefits of grass fed meat are actually transferred to whey protein. Rather spend your money on grass fed beef to reap the rewards (1). This powder is usually higher in protein, at about 90% protein content. Usually contains a lot less lactose. A much better quality product-this is also fairly evident as it is a lot more expensive than whey protein concentrate. This powder us technically more processed as it is essentially pre-digested. This causes a greater insulin spike as a result. However normally more easily tolerated and digested than other protein powders with a higher lactose content. There are many different types of plant based protein powders available on the market. Many of them are strictly not appropriate for the Paleo lifestyle.When we look at proteins from plants in comparison to the protein we get from animal products we measure their bioavailability . This means that no matter their form, plant based proteins are not as efficiently absorbed as animal based proteins. Additionally single source plant protein powders don’t offer all of the essential amino acids we need as humans. For this reason many plant based powders are combinations of different plant proteins (11). Pea protein: Hypoallergenic, not greatly bioavailable but a decent choice if whey is not an option. Soy protein: Avoid completely. Low bioavailabilty as well as many undesirable estrogenic characteristics. Most soy is made from genetically modified crops. A quick glance at the sources above will tell you that most of the above belong to either the grain or legume family. Both families are no-no on the Paleo diet due to their content of anti-nutrients such as phytates, lectins and saponins. The minor exceptions to this are legumes such as green peas and green beans because the pods are immature in nature and therefore contain much less anti-nutrients than mature legumes. Cooking also helps to lessen the effects of the toxins from these legumes. For this reason it is also best to look for a plant protein powder which includes soaked or sprouted legumes as this reduces the anti-nutrients in the final product (12). Whey protein is a clear winner in the protein powder stakes. With high bioavailability as well as many health benefits, consuming whey protein over plant protein has many advantages. In every instance we promote and encourage a food first approach . However we also know that sometimes following the perfect Paleo model isn’t possible in todays fast paced world. If you’ve tried every option to include food before turning to a protein supplement and still consider it your best option for either increasing your protein intake or even just being able to fit in a meal, then whey protein could be a good option for you. Whilst we may have the best intentions to eat perfect whole proteins as often as possible, daily life gets in the way and sometimes a smoothie made with some whey protein is a quick and healthy answer to hunger.